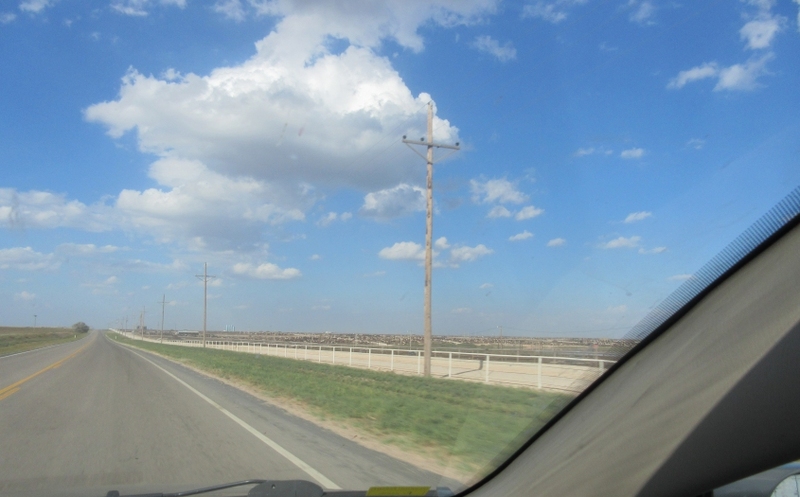 I think we left off on TX 214, where gas wells were flaring off and squandering valuable energy. Not sure here, but that building looks like a giant Lego. I have no idea where this is, and I'm in no mood to figure it out. 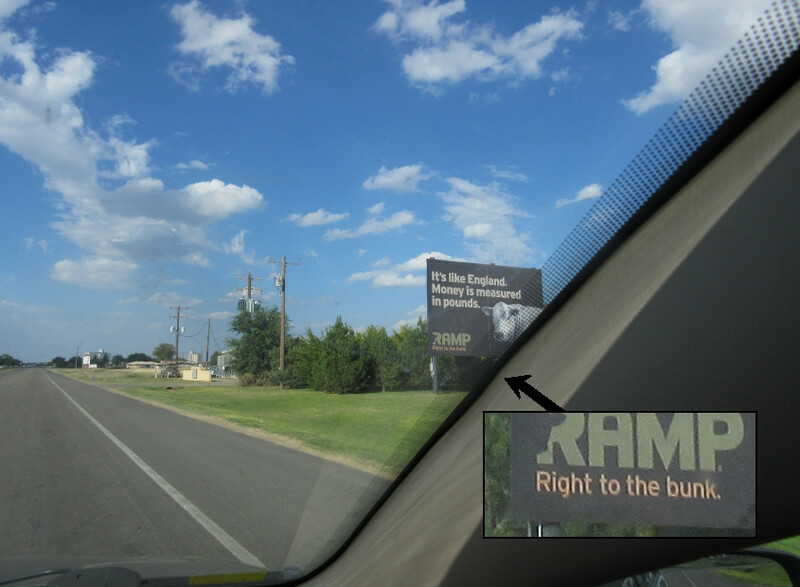 Hahaha, that sign talks about bunks. 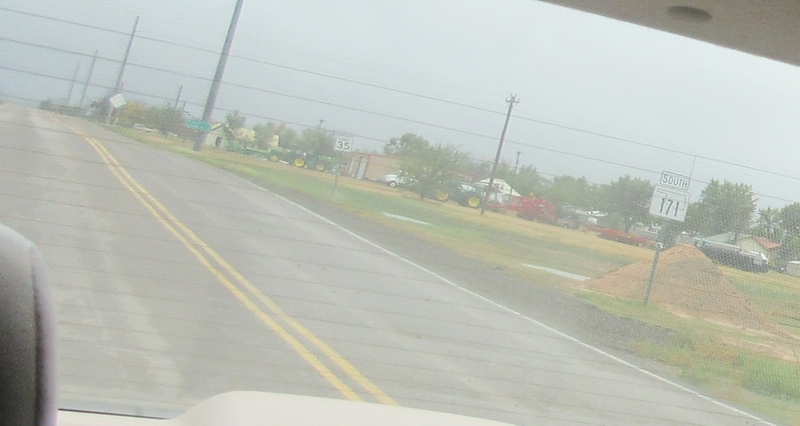 I think this is on US 385 in Hereford, TX. 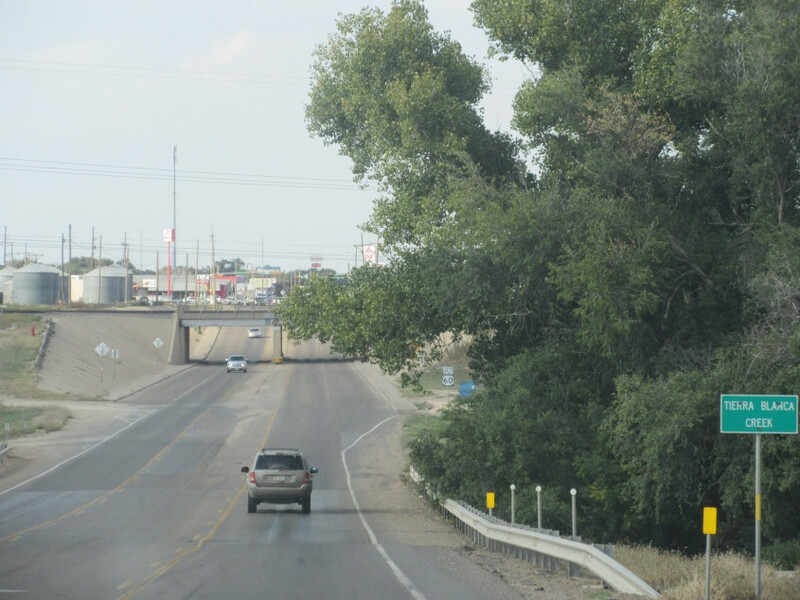 I think this is US 385 going under a rail line in Hereford. Another reference to bunks! This has to be US 60 near Hereford. 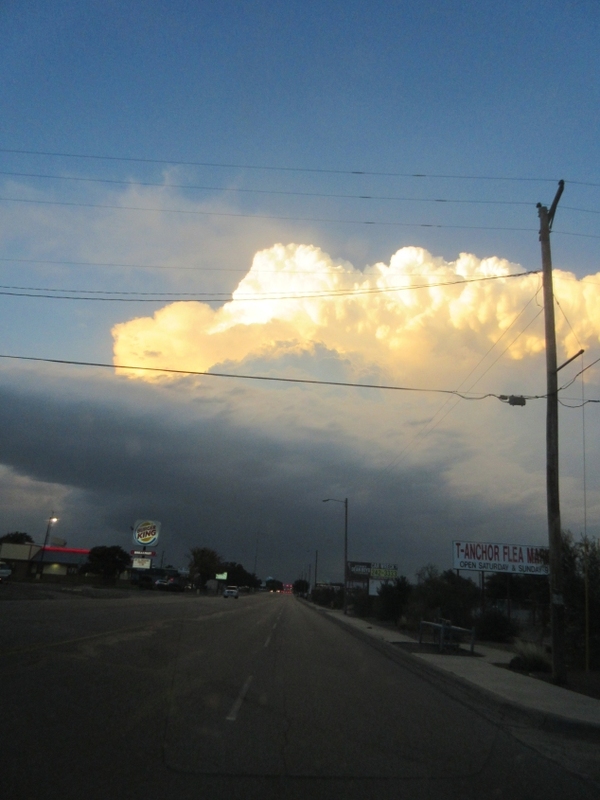 US 60 in Canyon, TX. 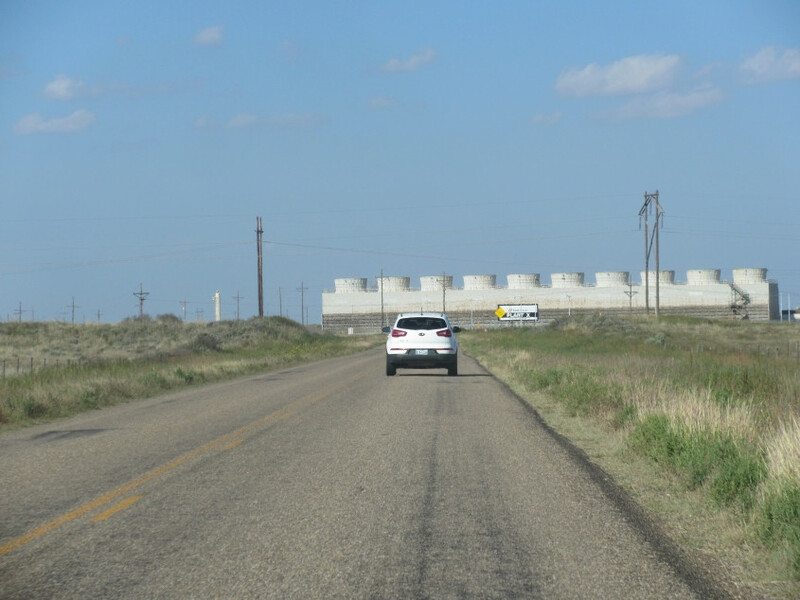 The frontage at right is labeled as North 3rd Avenue and may have once been the main road, for all we know. 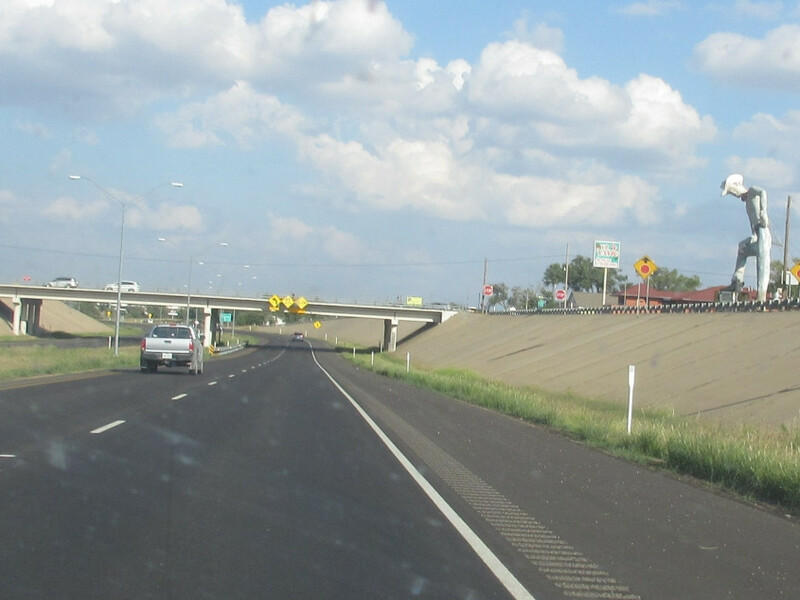 As US 60 forms a baby freeway in Canyon, notice the statue at right. I call this "doing a Laurel." Mississippi Roads Scholars might know why. 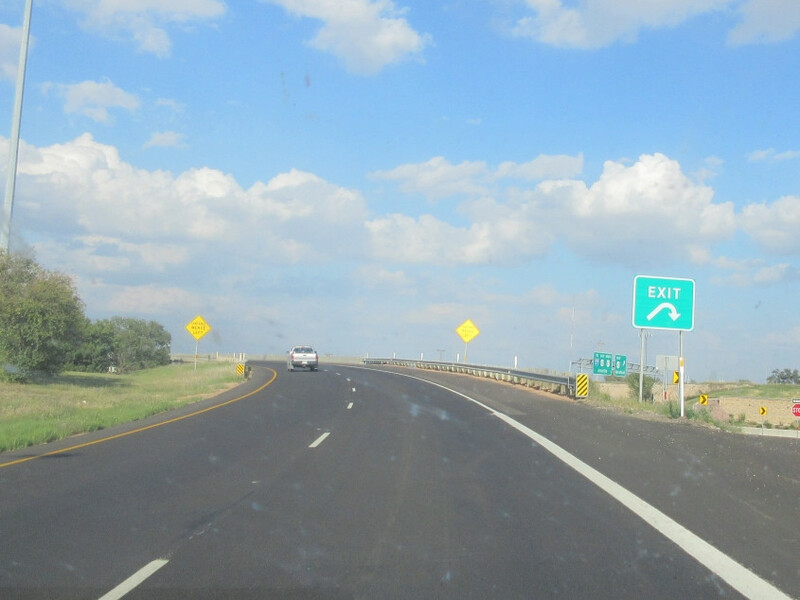 As US 60 veers left, it picks up US 87. 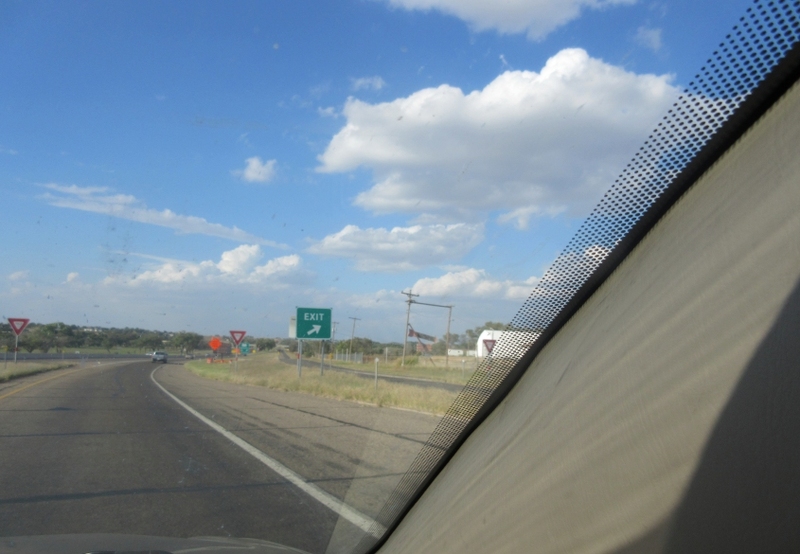 Picking up US 87. The diagram looks funny. 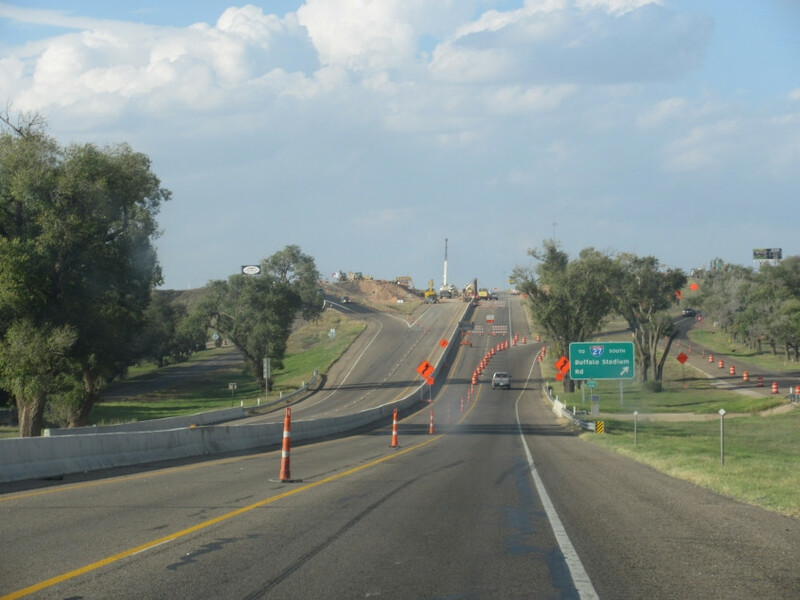 The US 60/87 freeway in Canyon continues with frontage. 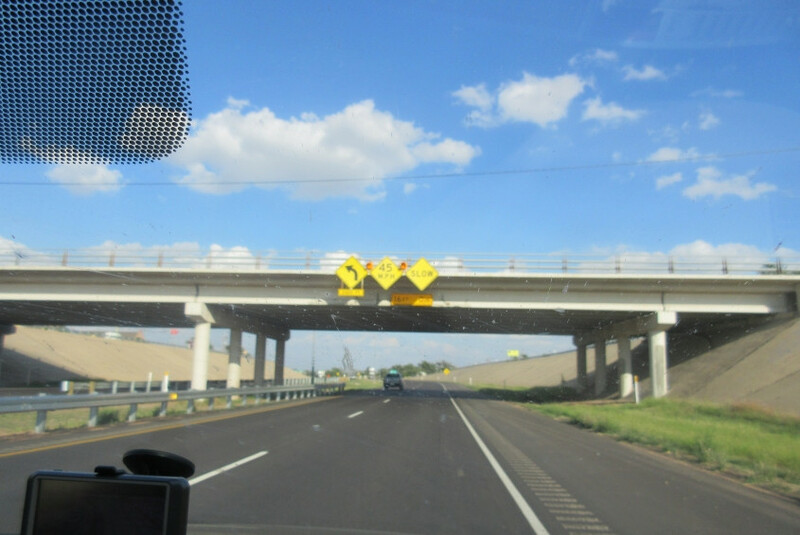 The freeway ended at I-27, but I don't know what the construction was for. 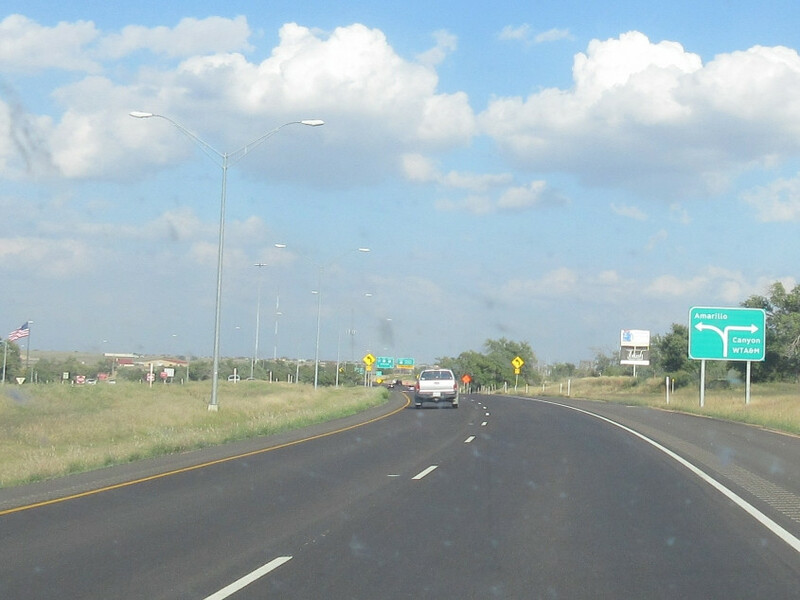 I-27 in Amarillo. 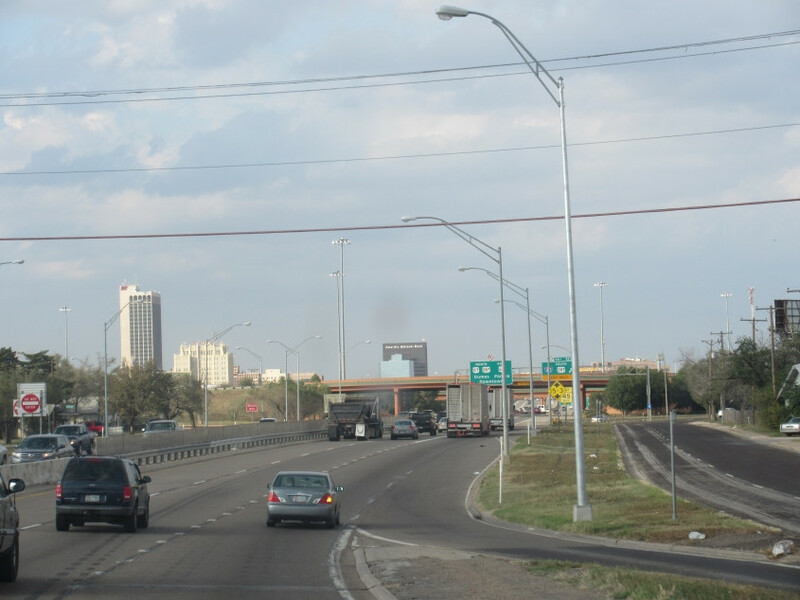 This is the city where an LAP bunker blast was detected in a hotel lobby. 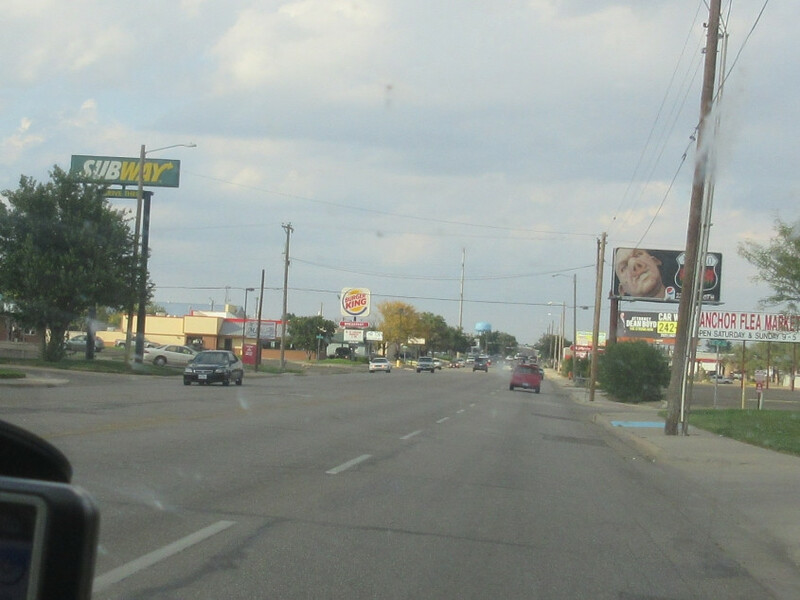 Ross Street in Amarillo. 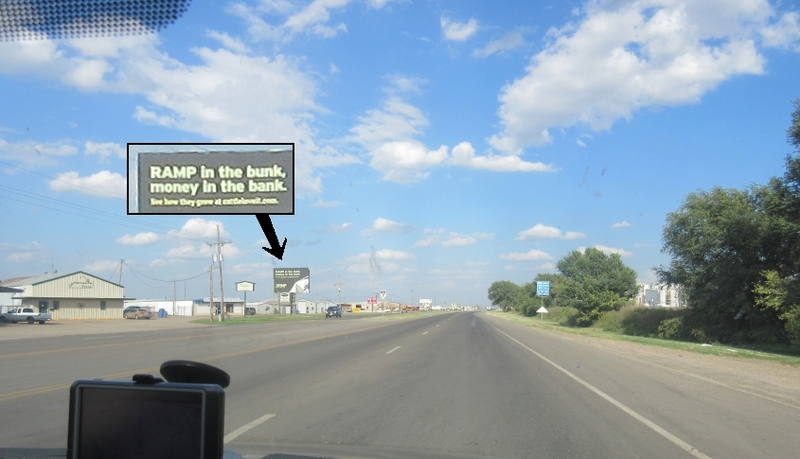 What's funny here is the billboard featuring the guy wearing an oversized pig nose. Ominous skies over Ross Street. 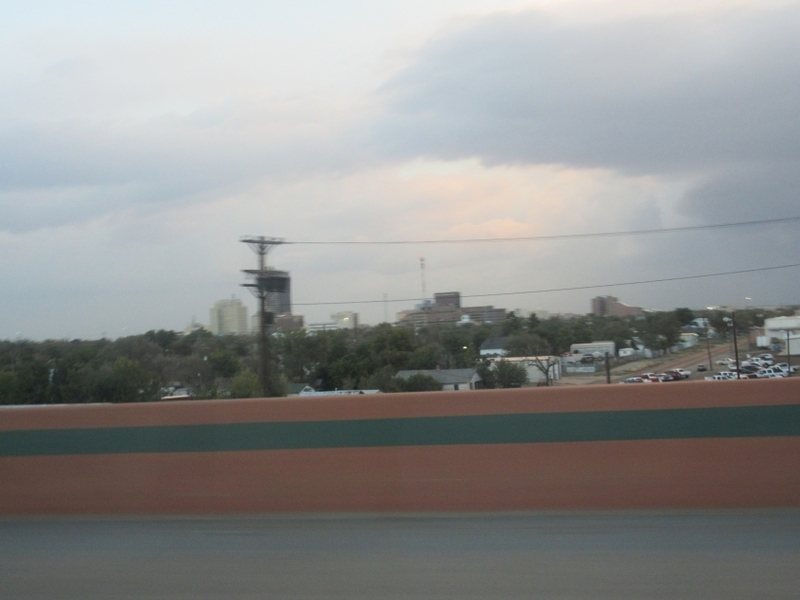 A view of downtown Amarillo from I-40. 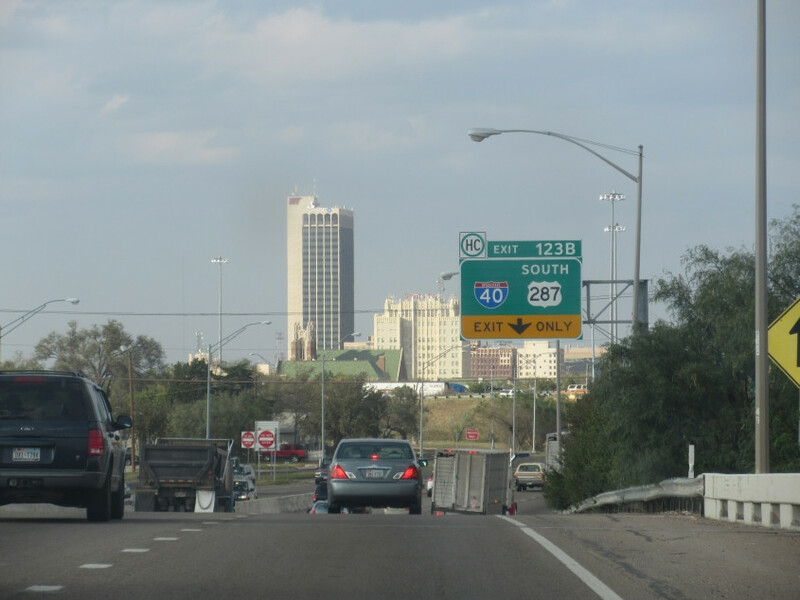 US 287 enters Oklahoma. 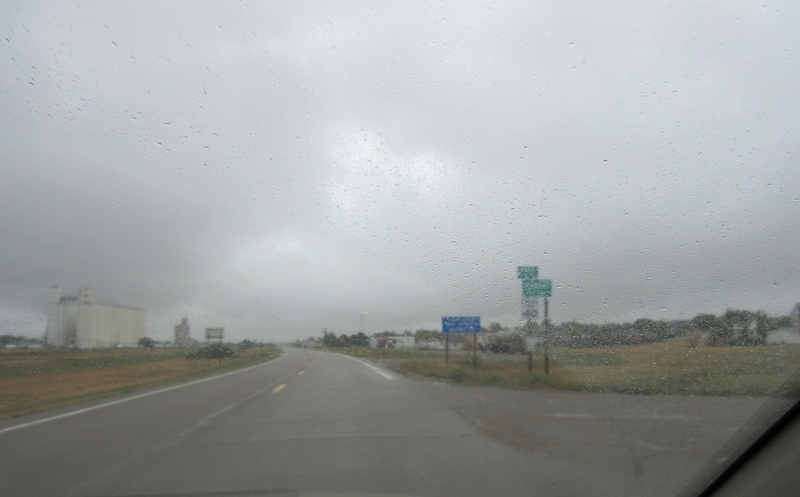 This is at Cimarron County, one of the 3 panhandle counties. 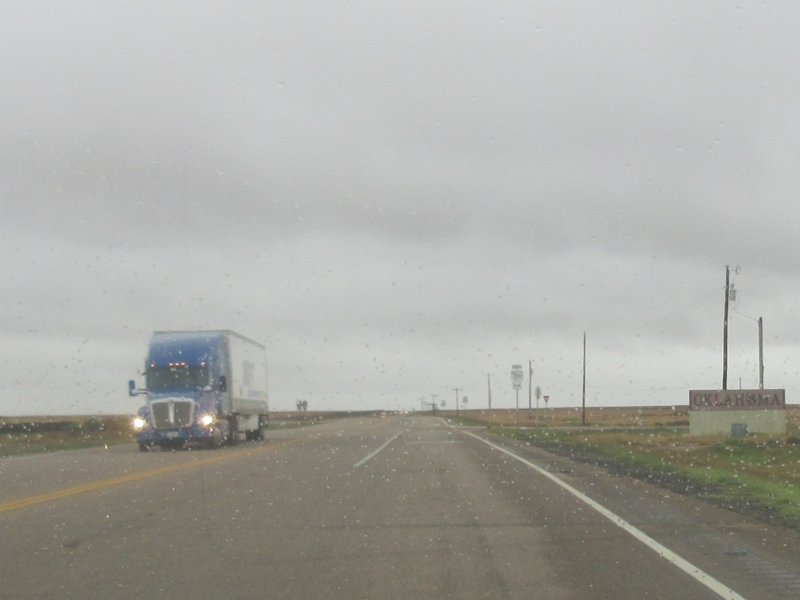 State line fanfare as we intersect OK 171. 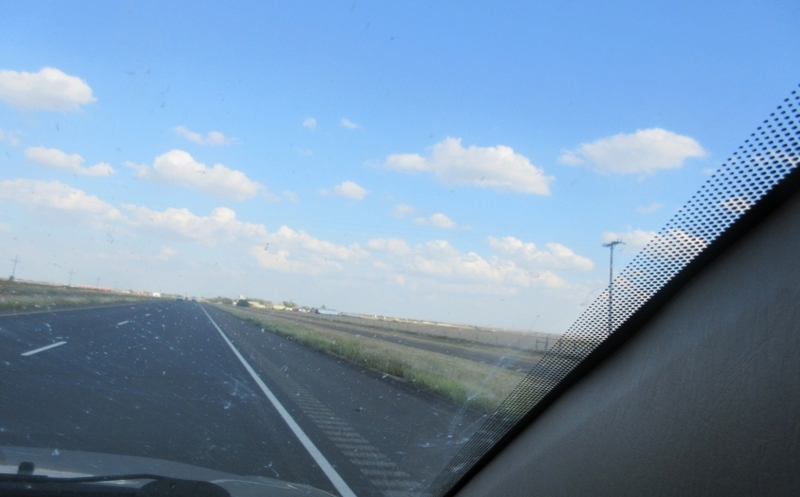 Looking back at OK 171 - meat cleaver route marker and all. 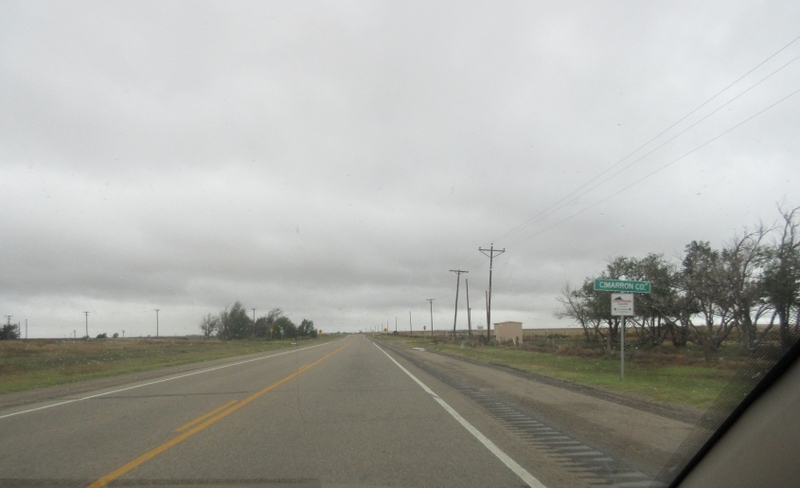 Incidentally, I know folks who have lamented how silly they think it is that Oklahoma has that long panhandle. But the panhandle actually has a serious historical reason for being. 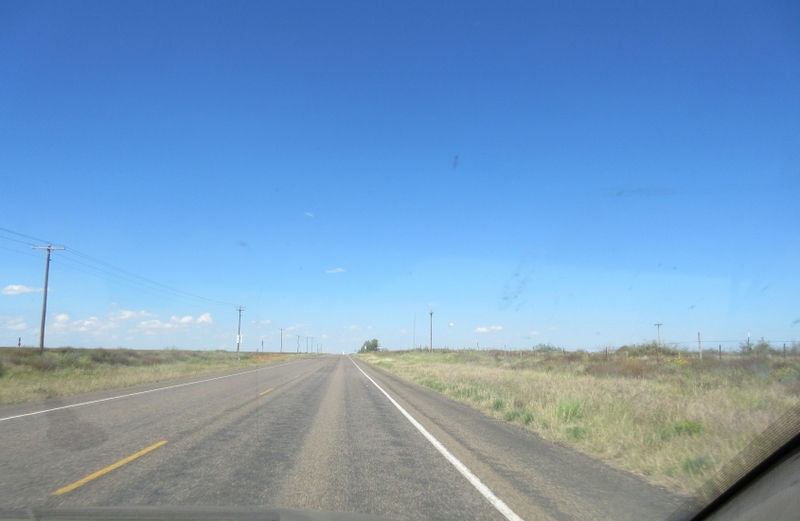 The panhandle just didn't fit with any other state, after Texas had to give up that area because they couldn't practice slavery north of 36° 30'. That was long before Oklahoma became a state. 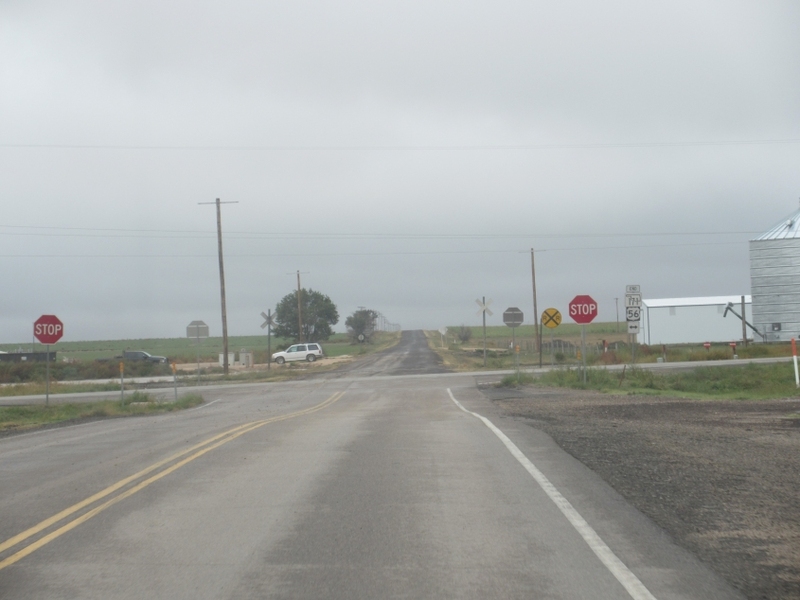 US 56 entering Kansas. From then on, it rained the whole day. The. Entire. Day.